Colors that are next to each other form a palette of analogous colors. If you pick from the ranges of colors – red to blue, orange to violet, yellow to red, you will get an analogous color scheme. Complementary colors are the colors that are in stark contrast to one another. The opposite colors like yellow and violet, green and red, orange and blue are the ingredients of the palette of complementary colors. Two contrasting colors from the palette of complementary colors make each other look vibrant when placed side by side. On mixing white with any pure color, the tints of the pure color are produced. If black is added to a pure color, shades of the pure color emerge. The tints and shades of a pure color form the palette of monochromatic colors. 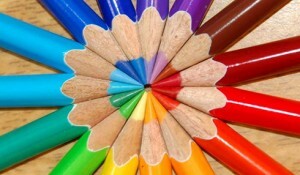 Color is a most important ingredient for design. A must among the details of print and electronic design, color is a very delicate choice for the design of a professional newsletter, brochure, website or any other publication. The most sensitive part of a design element, color is evocative of the message that a brochure or a newsletter speaks out. ip locator . A palette of harmonious colors can elicit response from the viewers and readers. Cool colors are soulful and soothing. A glimpse of cool colors casts a calming effect on the eyes. On one hand, cool colors are cold and glacial. On the other, they are nurturing and comforting. Green, blue, gray, silver and neutral white are from the palette of cool colors. In the world of nature, green and blue are predominant colors. Nature is steeped in the pool of these life-sustaining colors. Cool colors appear not brighter and stronger than warm colors. However, the cool colors are visually appealing and aesthetic. If cool colors soothe the mind, warm colors excite the senses. Worm colors are capable of conveying strong emotions from optimism to violence. The warmth of such colors as yellow, red, pink, orange, violet and black can evoke anger or create excitement. In nature, the palette of cool colors is not independent of warm colors. The neutrals of brown and black are the attributes of warm colors. The warm colors of seasonal fruits and flowers represent the changes in the cycle of seasons. The profile of both cool and warm colors is rich in meaning. All of them are descriptive and illustrative if they are deliberately put to use in an art or design work. Ultimately, it is the imaginative faculty of a designer to tell him or her which colors go well to be mingled harmoniously in the design of a brochure or a newsletter. 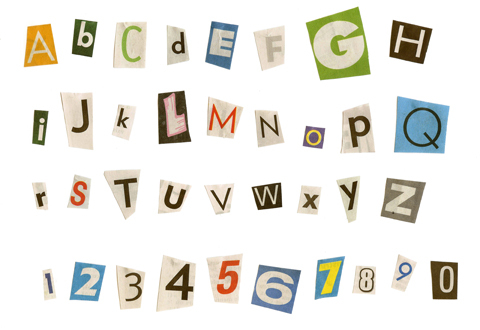 The online font comparison tool that stands first in the list is Font Tester. Using it, you can compare various fonts side by side with the application of different CSS font styles. It is a tool of great use for web developers who look for the right style, color and font for their pages. Easy to use is a most advantageous feature of Font Tester. The online tool to generate graphics for web pages is Cool Text. It is available free for the use of web designers. If you are sick of doing lots of design work, use Cool Text to get an impressive logo just after the image you like the most. You need to fill in a form with the details of the required logo and you will have the logo designed on the fly to your surprise. WhatTheFont is an online font recognition system. If a specific font used by some publication or ad campaign catches your fancy, this tool is the ultimate application to recognize the font. Upload the font to the application by scanning it and you will get a database of the fonts akin to the scanned image of the font. If you are keen on building special fonts out of geometrical shapes, FontStruct is a best font-building tool from FontShop. Available free online, FontStruct comes handy to let you easily and quickly create fonts. The tool generates True Type fonts of superlative quality for any Windows or Mac application once you are done with the procedure. Want to experiment with your own handwriting to create text for a webpage on your personal computer; Fontifier is just made for you. The use of this innovative application to get fonts in your handwriting is no less than a surprise. It copies the style from the scanned image of your handwriting and converts it into the font just after your own handwriting. You can use it like regular fonts in the word processor and graphics program.